Voilà! Just like that it's Spring, and we've gained an extra hour of daylight. Can't say the same for posts lately. 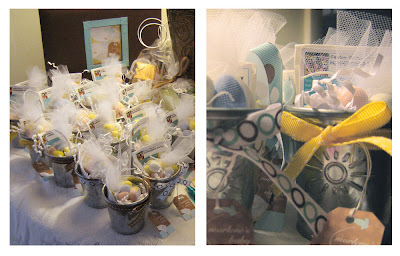 I'm way overdue, so I thought I'd share a few creations from my sister's baby shower to celebrate the new season. 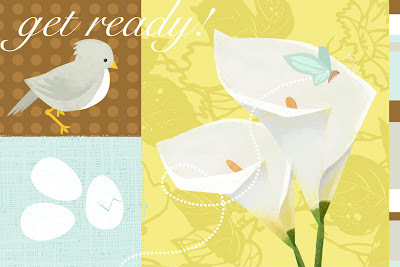 Originally, the theme of the baby shower was lilies....which then turned into, lilies, birds, butterflies and eggs. Sounds like...Easter. Perfect timing. 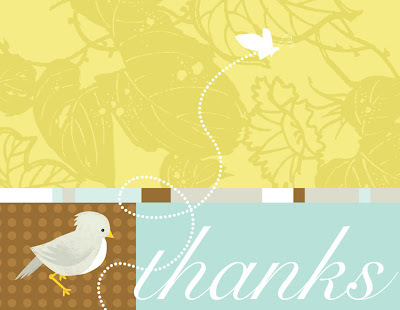 So I illustrated her Evite using all of these motifs, and from that I created matching thank you cards. These days, with Evite, you never see a printed invite, so I thought it would be nice to create a custom thank you card instead. 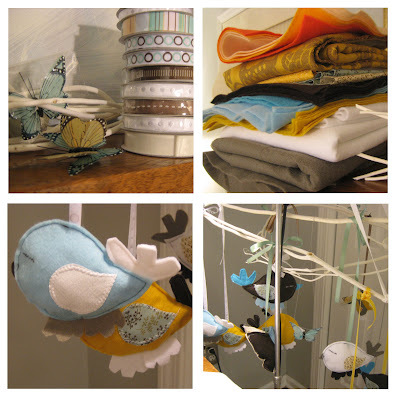 For decoration, I made a few bird mobiles using felt, various fabrics and mitsumata branches. What's that you ask? I came across Nettleton Hollow, a company in Brooklyn that specializes in decorative branches. From there I purchased mitsumata branches, which are branches that have been stripped of their bark and bleached white. If you soak them long enough, they're bendable. Yes, I got a bit craft-happy. When I found those branches, ideas started racing. As a soon-to-be aunt, I needed to put all my energy of anticipation into something constructive. However, the favors were the biggest attack of craft crazy I've ever encountered. I counted 10, I say, 10 steps to making these little wunderfavors. The end result ... kinda cute. I'm currently in a 10 step program to de-craftify.